When it comes to bookmarking and saving content on the Web, there’s no shortage of solutions. But a new service aptly called Dragdis makes the process a simple drag and drop process. Launched earlier this month, Dragdis was created for the purpose of quickly saving and organizing images, videos, web links, and even selected text. The service is similar to another clipboard service called Keeeb (read our review Keeeb - A Unique Alternative To The Traditional Blogging Platform Keeeb - A Unique Alternative To The Traditional Blogging Platform We recently introduced you to a variety of ways to curate your way to a significant Internet following, and were disappointed to find out that Clipboard, one of the recommended services, has been acquired and... Read More ), but some users may find Dragdis a little faster to use. Services like Dragdis are more useful for saving online content than using applications like the notebook service, Evernote, which can become bloated along with documents, images, notes, and PDF files. Dragdis may also be more accessible than other bookmarking sites The 3 Best Bookmarking Alternatives To Delicious The 3 Best Bookmarking Alternatives To Delicious Read More because of its visual orientation. Inside your Dragdis account you get actual previews of the stuff you save, and you don’t have to open a separate application to save or review content. 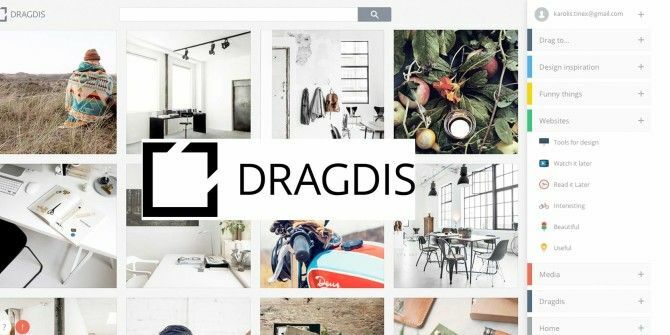 Dragdis works similarly to Pinterest, but it’s more private and again faster to use. You can save content on Dragdis with the Safari, Firefox, or Chrome web extensions, which opens a sliding sidebar in your browser when clicked. Drag a URL link, image, or video to a new or existing folder in your account. This simplicity is what literally makes Dragdis faster and easier to use. When dragging an element, place the element on the folder icon until it highlights. To capture the entire webpage, drag the URL in the address bar over to the designated folder. New folders can be created right from within the sidebar, items can be dragged between folders, and folder groups can be rearranged. Sharing to Facebook or Twitter also as simple as dragging a URL, selected text, or photo. Dragdis also provides a few other customization features for color coding top level folders and changing folder icons (click on the gear icon) to make them more distinguishable. Clicking one of your folders in the sidebar will open that content in your Dragdis account. Saved items include a preview of selected content, the respective source link, and link page from Dragdis, and the ability to also share to Google+, Tumblr, and Pinterest. Notes and tags can be added to individual items, and all content is searchable. You can also share a link to any of your one of folders by clicking on the share button. Your Dragdis is semi-private in that only the content you share is visible to the public. In gallery preview, items can be selected and deleted by dragging them to the bottom of the folder. Folders can be organized and coded with icons and organized in color coded categories. Dragdis is a useful and practical service for managing any content that can be accessed on a web browser. The developer of Dragdis, Domas Sabockis, got the idea for Dragdis while working at an ad agency as a creative, where he says he was constantly losing images, videos, and links he found on the Internet. Thus Dragdis is another solution for storing and managing these type of items, especially when you don’t want to use yet another application like Evernote for saving everything Why You Should Be Using Evernote As Your Go-To Place For Remembering Everything Why You Should Be Using Evernote As Your Go-To Place For Remembering Everything Remember Everything. That’s the Evernote motto and that’s what it allows you to do best. If you aren't familiar yet with Evernote, you’re in for a real treat! If you have heard of it, but... Read More . At this time, however, there’s no mobile iOS or Android access to Dragdis, but it’s expected soon. Dragdis may not a full alternative to Evernote or other similar services, but many users may find it easier to access, manage, and share content. Check out this Dragdis video and see it in action. It will just take you a few minutes to set up and use Dragdis. What do you think of this simple application? 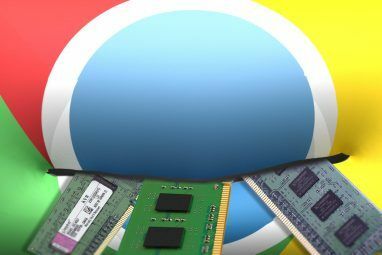 Explore more about: Google Chrome, Mozilla Firefox, Online Bookmarks, Safari Browser. Drgdis is great after the update after christmas, if they add a note and download from computer option it will be just as good as Keeeb. I miss an Android app, though. But everyrthing in its own sweet time. Hildegerd, thanks for the update. I need to go back to Drgdis and start using it again. Have you tried it again now? What do you think? Sorry, Hidegred, haven't had the time. I think I read somewhere that they are now charging for their service? Okay, Hildegard, thanks for letting us know that. Appreciate it. 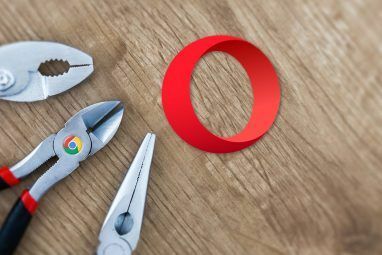 the tool is working great, you just need to restart chrome browser to make sure it work, i faced this problem at first then opened it again and work fine. actually it's seemed to be competing with my evernote clipper extension. Cj J I read everything you wrote and you have a lot of good points. We'll definitely take them "in" :) You've said that tutorial is confusing? Data is saying exactly the opposite ~95% complete the tutorial and those 5% mostly end up having other problems than not understanding tutorial. I definitely believe we could do better, but it's not bad as you described it. "Completing the tutorial" doesn't equate to understanding all of what's on offer, including the functionality your demo video reveals. I guess it all depends on what kind of product you want to make, and how much you want to polish the experience for your users. You can either "release early and iterate later" or you can "polish it to a premium product first them release", it's up to you which kind of company you what product you want to make. If you think the user is supposed to understand "hovering" practices, then why not make the tutorial even less steps and have them "magically" find out all the functionality by themselves, it'll be like a treasure hunt ! everyone likes surprises when they're learning a new product right ? But seriously, if your answer to my constructive feedback is to cite your own personal anecdotal evidence, and then to suggest "people already know how to use computers", then you have no clue what it's like to make a product for a broad demographic of millions of people across the planet. You're obviously ignorant of the practices of communication via conveyance and UI design. It's this problem that kill Microsoft's Metro-UI, because the simplest of functions was not intuitive and people simply couldn't use the product. Whereas by contrast Apple invested heavily in UI design to make the iPhone as user-friendly as possible. There's no reason this product should suffer any problems relating to bad communication. not everyone knows about "hover hints" or what a "settings gear" does. Especially when there are no hover hints (little text boxes to tell you something), they literally are not there, so now you're expecting the user to have previous experience with computers to know what a "settings gear' is, and to know to click on it? Why would the company present in their video Ad the fundamental functionality of the coloured folders and icons, yet not even mention them in their tutorial? It's not even simply explained in the Ad by saying to the user "click the little grey gear icon to explore more features", nothing. You expect the user to understand computers already like magic, and maybe you think education is magic, and users don't need to be taught, because hey, everyone already has magic knowledge in their heads they can rely on to intuit right ? Just because you are an egocentric and experienced computer user doesn't mean everyone is like you and therefore you don't need to teach them. This is exactly why engineers fail at designing User Interfaces, because they think everyone should simply understand "how it works", regardless if they didn't spend their lives learning computers. i'm not describing registration, i'm describing exactly what i described explicitly: demo video and tutorial. You asked about the TUTORIAL yes? then i spent a few pages describing many bad design aspects of the TUTORIAL yes ? why are you asking me about registration? how could you misread what i wrote explicitly about the TUTORIAL you asked me about in the first place ? Also, just noticed 2 more things from the video. 2) when the video shows the user dragging content to her" Drag To..." section, trying this out at the moment yields DIFFERENT social networks than clicking the share icon next folders. why is this ? also what is with this site where i can only REPLY to my own comments and no one else ? just noticed another strange design choice, the inconsistent "share" options for social networks. If you click on the share icon in the right-panel, you get a mid-screen pop-up with coloured icons on a white background. but, if you click a content item, you get the content re-sized, with the share-icons....to the right-side panel....with their colours reversed on a grey background ?? within 10 seconds the user is asked to "create a folder", then once done "go to last step. that was the FIRST step, how to create a folder, and now we're told no more steps ? So we click on "go to last part" and it goes to a new screen, because now we are on "part 3 of 3" and we have the screen with the demo "start dragging this image". We "started" 10 minutes ago, you can't keep saying "start" every time, and make your mind-up about "parts" and "steps", don't confuse the user with different metrics, pick on and stick to it. "start dragging this image" - ok, HOW ? don't presume everyone knows how to "click-hold and drag" an item on screen. "Drop it to your folder" - make this better by instructing the user to "drop this on top of your folder", again, "to" doesn't visually convey the action specific to being "drag image and drop on top of folder". meanwhile, after dragging the image, then the video, etc we are STILL on "part 3 of 3", so the user is inconsistently notified of inconsistent associations with their actions. sometimes an action in the tutorial is a "step" and sometimes it's a "part", and sometimes it's NONE of them at all, because actions don't advance the progress metric at all. "Now lets select the text and start dragging", again HOW ? Don't presume users know how to "click at start of text you want to capture, click-hold while dragging through the text until the end, then let go of click, and click-drag the selection anywhere inside to drag it to your folder". Id you want to be intuitive and convey your message, which in this case are the instructions of how to use your product, then you can't leave important details out that result in users scratching their heads. "start dragging the icon in the address bar to save the link", again, terrible visual conveyance. The 3 circles (the main speech bubble, and the other blue then white one with the image) are a terrible repetition causing confusion, and worse, the URL image isn't large enough for people to recognise it as their browser's URL bar. The multiple circles aren't related, so they confuse the user looking at the iconography. the main speech bubble should be just that, for the message, and any sub-bubbles contained within should be distinct enough to convey their sub-class meanings, and certainly not be the same colour and shape. meanwhile we are STILL on "part 3 of 3". after dragging the URL, we're told to "drop it here", what happened to "drop it to your folder" ? keep your messages CONSISTENT, if you want repetition to enforce memory recall. if you keep changing the language for the same things, you confuse the user. you're supposed o be creating an intuitive UI, not creating a confused user. and that's it, that's all you teach them. 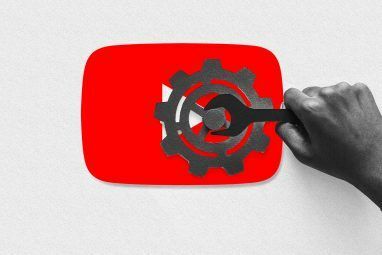 What about the features you demonstrated in the video? where's the tutorial to assign COLOURS to the folders? Where's the feature of how to SHARE content using social networks, and how to set them up ? Wow, Cj, I assume you're referring to process (and video) when signing up on the site? I didn't experience any problems when signing up the first time, so I registered another account with Dragdis (this time via Chrome), but now it seems the site is having problems, at least in Chrome. When I slide a bookmark or photo over the side of the browser, the file drawer doesn't open. On Safari, however, it's working fine. I registered the first via Safari. I'll let the developer know you are having issues with the site. Have you tried quitting and restarting your browser after installing the plug-in? @Cj J - Dude. If it's this difficult for you to figure out how to use a drag-and-drop application on your PC, maybe you should just stop. For real - the tutorial is only a few steps. It's fairly easy - create some folders and then drag and drop stuff in them. As for assigning colors to folders, have you ever just hovered over anything to see what's there? When you do that with your folders, you'll see a little "settings" gear. Click it. OMG it's like magic. There you can change the name of your folder AND change the color. Holy crap! That's brand new on the internet ... said no one ever. Seriously. I figured out how to put a bunch of stuff in my folders within 3 minutes of installing the app in Chrome. I've spent more time writing this reply to your obtuse comments on this article than I spent "learning" how to use the app. It's as intuitive as it gets. If you can't figure out the difference between "drop it here" and "drop it in your folder" then you need to just get off the internet now before you hurt yourself. the tutorial is too basic, has masses of whitespace with little information, that's not "neat" or efficient, it's strange to have a massive bubble with badly centered text explaining a few paltry instructions. hardly any of the features the video shows, are explained in the tutorial, which is terrible for, you know a TUTORIAL. when your promo video conveys more information than your tutorial, that's bad. Hmmm, okay, Cj, sorry to hear that. So what exactly in the tutorial is missing that I should have included? I don't want to dumb down the instructions, but if I'm missing important steps, I need to be aware of what those are. no mention what platform this is for? is it Chrome Browser, Firefox, or what? even their landing page is completely devoid of any useful information except that video, just asks you to register without telling you anything at all. As if i'm going to register on a website that tells me nothing about the product, such as what the heck it is in the first place. Couldn't agree with you are more. The good news is that we are launching our new landing page during the next couple of days! Bob, apologize for not stating the platforms more clearly in the first or second paragraph. I allude to it in the third section ("You can save content on Dragdis with the Safari, Firefox, or Chrome web extensions."). Were you finally able to register on the site?